Disclaimer: This is my personal opinion. I am not an expert in attribution. But as it turns out, not many people in the world are good at attribution. I know this post lacks real evidence, and is mostly based on speculation. 6. 12th September, Western media started headlines "Russia hacked WADA"
It is Russia, because the phishing site "wada-awa[. ]org was registered and uses a name server from ITitch[. ]com, a domain registrar that FANCY BEAR actors recently used"
It is Russia, because "Wada-arna[. ]org and tas-cass[. ]org were registered through and use name servers from Domains4bitcoins[. ]com, a registrar that has also been associated with FANCY BEAR activity." It is Russia, because "The registration of these domains on August 3rd and 8th, 2016 are consistent with the timeline in which the WADA recommended banning all Russian athletes from the Olympic and Paralympic games." It is Russia, because "The use of 1&1 mail.com webmail addresses to register domains matches a TTP we previously identified for FANCY BEAR actors." There is an interesting side-track in the article, the case of the @anpoland account. Let me deal with this at the end of this post. My problem with the above points is that all five flag was publicly accessible to anyone as TTP's for Fancy Bear. And meanwhile, all five is weak evidence. Any script kittie in the world is capable of both hacking WADA, and planting these false-flags. For me it is quite strange that after such great analysis on Guccifer 2.0, the Threatconnect guys came up with this low-value post. It is quite unfortunate that the analysis was not updated after the documents have been leaked. But let's just have a look at the fancybear . net website, shall we? 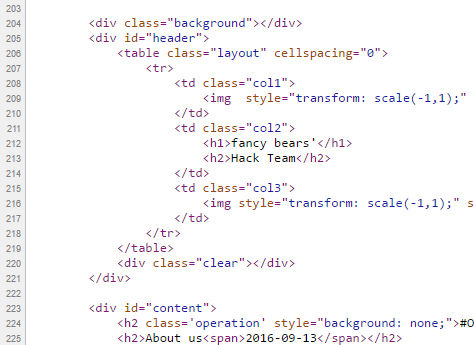 Now the question is, if you are a Russian state sponsored hacker group, and you are already accused of the hack itself, do you create a website with tons of bears on the website, and do you choose the same name (Fancy Bear) for your "Hack team" that is already used by Crowdstrike to refer to a Russian state sponsored hacker group? Well, for me, it makes no sense. Now I can hear people screaming: "The Russians changed tactics to confuse us". Again, it makes no sense to change tactics on this, while keeping tactics on the "evidence" found by Threatconnect. It makes sense that a Russian state sponsored group creates a fake persona, names it Guccifer 2.0, pretends Guccifer 2.0 is from Romania, but at the end it turns out Guccifer 2.0 isn't a native Romanian speaker. That really makes sense. What happens when someone creates this fancybear website for leaking the docs, and from the Twitter account reaches out to the media? Journalists check the website, they see it was done by Fancy Bear, they Bing Google this name, and clearly see it is a Russian state sponsored hacker group. Some journalists also found the Threatconnect report, which seems very convincing for the first read. I mean, it is a work of experts, right? So you can write in the headlines that the hack was done by the Russians. "the hack was done by non-Russian, but state-sponsored actors, who planted a lot of false-flags to accuse the Russians and to destroy confidence in past and future leaks". Well, I am sure this is not a popular opinion, and whoever tries this, risks his career. Experts are human, subject to all kind of bias. I don't agree on the DNC part, but this is not the topic of conversation here. "the hackers were most likely amateurs who published a “semi-finished product” rather than truly compromising information. “They could have done this more harshly and suddenly,” he said. “If it was [state-sponsored] hackers, they would have dug deeper. Since it’s enthusiasts, amateurs, they got what they got and went public with it.”"
First please check the tas-cas.org hack https://www.youtube.com/watch?v=day5Aq0bHsA , I will be here when you finished it. This is a website for "Court of Arbitration for Sport’s", and referring to the Threatconnect post, "CAS is a the highest international tribunal that was established to settle disputes related to sport through arbitration. Starting in 2016, an anti-doping division of CAS began judging doping cases at the Olympic Games, replacing the IOC disciplinary commission." Now you can see why this attack is also discussed here. My bet is that this machine was set-up for these @anpoland videos only. Whether google.ru is a false flag or it is real, hard to decide. It is interesting to see that there is no google search done via google.ru, it is used only once. The creator of the video can't double click. Is it because he has a malfunctioning mouse? Is it because he uses a virtualization console, which is near-perfect OPSEC to hide your real identity? 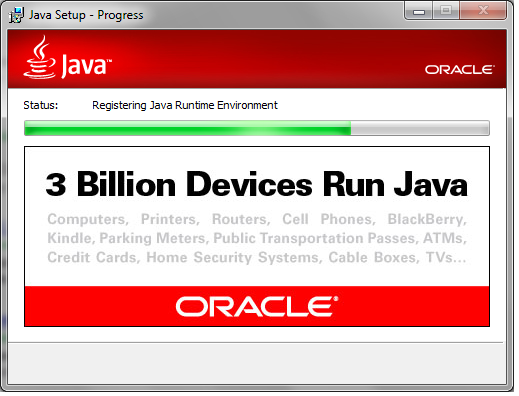 My personal experience is that using virtualization consoles remotely (e.g. RDP) have very similar effects what we can see on the video. I agree with the Threatconnect analysis that this @anpoland account is probably a faketivist, and not an activist. But who is behind it, remains a mistery. Either the "activist" is using a whonix-like setup for remaining anonymous, or a TOR router (something like this), or does not care about privacy at all. Looking at the response times (SQLmap, web browser), I doubt this "activist" is behind anything related to TOR. Which makes no sense for an activist, who publishes his hack on Youtube. People are stupid for sure, but this does not add up. It makes sense that this was a server (paid by bitcoins or stolen credit cards or whatever) rather than a home computer. For me this whole @anpoland thing makes no sense, and I think it is just loosely connected to the WADA hack. There is another interesting flag in the whole story, which actually makes no sense. 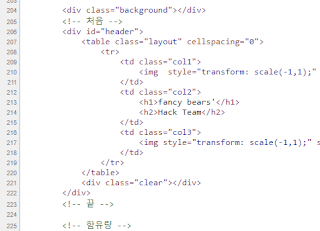 When the website was published, there were Korean characters in HTML comments. 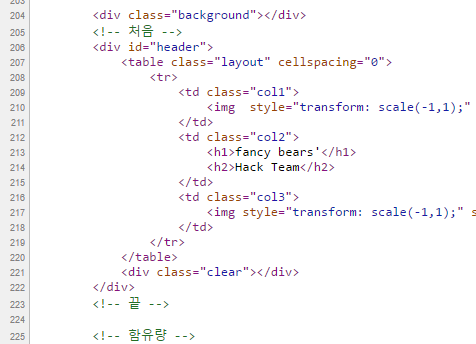 These HTML comments look like generated HTML comments, from a WYSIWYG editor, which is using Korean language. Let me know if you can identify editor. 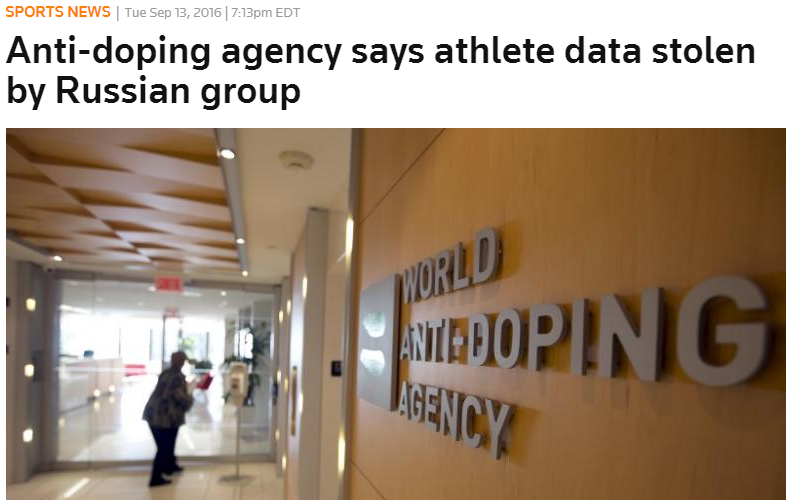 By instantly attributing the hack to the Russians, the story was more about to discredit Russia than discrediting WADA or US Olympians. In reality, there was no gain for Russia for disclosing the documents. 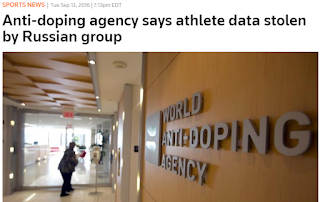 Nothing happened, nothing changed, no discredit for WADA. Not a single case turned out to be illegal or unethical. If the Korean characters were false flags planted by the Russians, why would they remove it? If it had been Russian characters, I would understand removing it. All evidence against Russia is weak, can be easily forged by even any script kittie. Was Russia capable of doing this WADA hack? Yes. Was Russia hacking WADA? Maybe yes, maybe not. Was this leak done by a Russian state-sponsored hacker group? I highly doubt that. Is it possible to buy an attribution-dice where all six-side is Russia? No, it is sold-out. Let me know what you think about this, and please comment. Most of the web applications I see are kinda binary when it comes to CSRF protection; either they have one implemented using CSRF tokens (and more-or-less covering the different functions of the web application) or there is no protection at all. Usually, it is the latter case. However, from time to time I see application checking the Referer HTTP header. A couple months ago I had to deal with an application that was checking the Referer as a CSRF prevention mechanism, but when this header was stripped from the request, the CSRF PoC worked. BTW it is common practice to accept empty Referer, mainly to avoid breaking functionality. The OWASP Cross-Site Request Forgery (CSRF) Prevention Cheat Sheet tells us that this defense approach is a baaad omen, but finding a universal and simple solution on the Internetz to strip the Referer header took somewhat more time than I expected, so I decided that the stuff that I found might be useful for others too. have a serious headache from all the new info at the end. This blog post from him is a bit lighter and covers some useful theoretical background, so make sure you read that first before you continue reading this post. He shows a few nice tricks to strip the Referer, but I was wondering; maybe there is an easier way? Rich Lundeen (aka WebstersProdigy) made an excellent blog post on stripping the Referer header (again, make sure you read that one first before you continue). The HTTPS to HTTP trick is probably the most well-known one, general and easy enough, but it quickly fails the moment you have an application that only runs over HTTPS (this was my case). The data method is not browser independent but the about:blank trick works well for some simple requests. Unfortunately, in my case the request I had to attack with CSRF was too complex and I wanted to use XMLHttpRequest. He mentions that in theory, there is anonymous flag for CORS, but he could not get it work. I also tried it, but... it did not work for me either. Krzysztof Kotowicz also wrote a blog post on Referer strip, coming to similar conclusions as Rich Lundeen, mostly using the data method. Finally, I bumped into Johannes Ullrich's ISC diary on Referer header and that led to me W3C's Referrer Policy. So just to make a dumb little PoC and show that relying on Referer is a not a good idea, you can simply use the "referrer" meta tag (yes, that is two "r"-s there). From time to time, I get disappointed how much effort and money is put into securing computers, networks, mobile phones, ... and yet in 2016 here we are, where not much has changed on the defensive side. There are many things I personally blame for this situation, and one of them are the security tips. 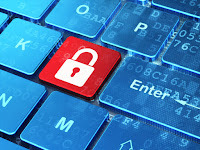 The goal of these security tips is that if the average user follows these easy to remember rules, their computer will be safe. Unfortunately, by the time people integrate these rules into their daily life, these rules either become outdated, or these rules were so oversimplified that it was never true in the first place. Some of these security tips might sound ridiculous to people in InfoSec nowadays, but this is exactly what people still remember because we told them so for years. On an unrelated note, people still believe PDF is integrity protected because the content cannot be changed (compered to a Word document). One of the best ones. 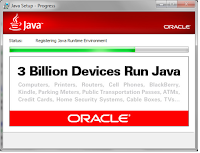 Oracle started marketing Java as a safe language, where buffer overflows, format strings and pointer based vulnerabilities are gone. Unfortunately they forgot to tell the world that instead of "unsafe programs developed by others" they installed their unsafe program on 3 billion devices. This is a very common belief I hear from average people. "I only visit some trusted news sites and social media, I never visit those shady sites." I have some bad news. At the time of malvertising and infected websites, you don't have to visit those shady sites anymore to get infected. I have a very long explanation why this makes no sense, see here. 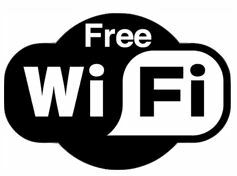 Actually, the whole recommendation makes no sense as people will connect to public WiFis, no matter what we (InfoSec) recommend. Actually this topic has been covered by myself in two blog posts, see here and here. Long story short: use a password manager and 2 factor authentication wherever possible. Let the password manager choose the password for you. 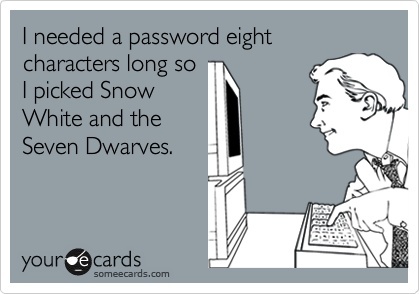 And last but not least, corporate password policy sux. We tell people for years that the communication with HTTPS sites are safe, and you can be sure it is HTTPS by finding a randomly changing padlock icon somewhere next to the URL. What people hear is that sites with padlocks are safe. Whatever that means. Same goes for WiFi - a network with a padlock is safe. For years people told to Windows users that only if they would use Linux they won't have so much malware. 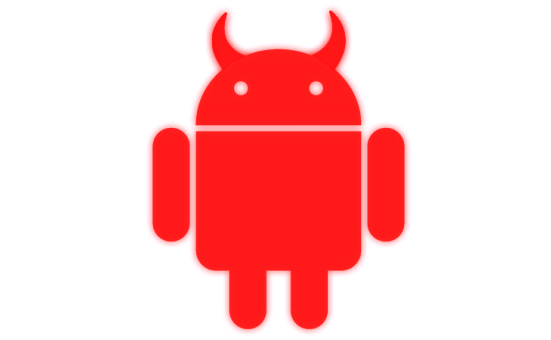 Thanks to Android, now everyone on the world can enjoy malware on his/her Linux machine. It is true that there is significantly less malware on OSX than on Windows, but this is an "economical" question rather than a "security" one. The more people use OSX, the better target it will become. 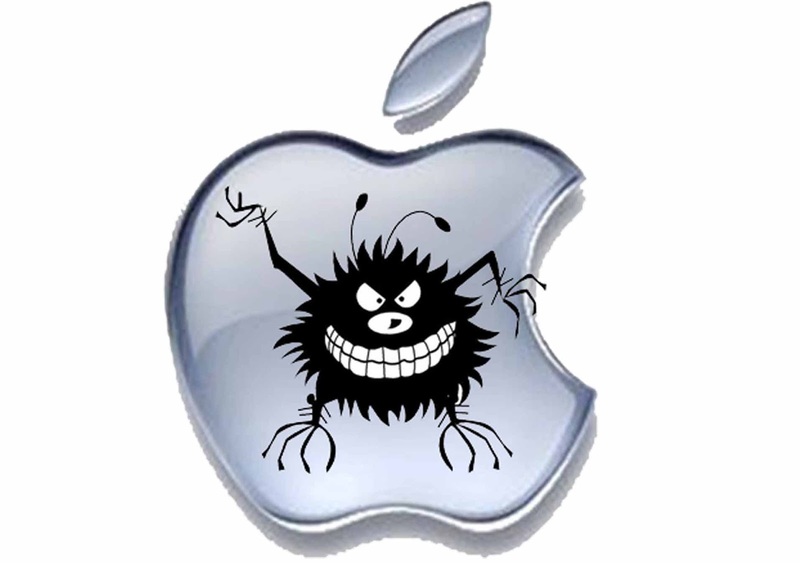 Some people even believe they are safe from phishing because they are using a Mac! There is no such thing as 100% safe, and unfortunately nowadays most malware is written for PROFIT, which means it can bypass these basic protections for days (or weeks, months, years). The more proactive protection is built into the product, the better! Although this is one of the most important security tip which is not followed by people, my problem here is not the backup data advise, but how we as a community failed to provide easy to use ways to do that. 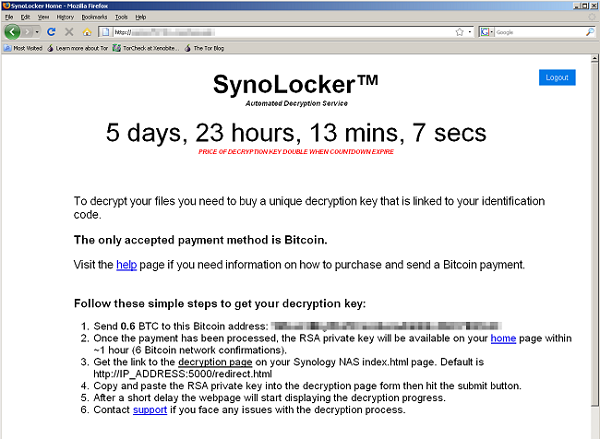 Now that crypto-ransomware is a real threat to every Windows (and some OSX) users, even those people who have backups on their NAS can find their backups lost. The only hope is that at least OSX has Time Machine which is not targeted yet, and the only backup solution which really works. There is no need to comment this. Whoever recommends things like that, clearly has a problem. First of all. There is no such thing as free service. If it is free, you are the service. On another hand, non-free VPN can introduce new vulnerablities, and they won't protect your anonimity. It replaces one ISP with another (your VPN provider). Even TOR cannot guarantee anonimity by itself, and VPNs are much worse. "Luckily" these toxic security tips have infected the enterprise environment as well, not just the home users. 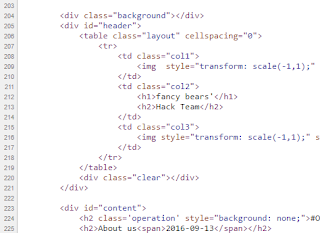 It is 2016 and somehow web developers still believe in this nonsense. And this is why this is usually the first to check on a website for penetration testers or attackers. Companies should invest more into people and less into magic blinking devices. 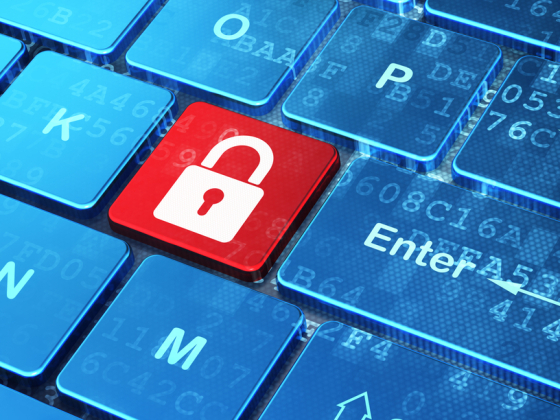 Computer security is complex, hard and the risks change every year. Is this our fault? Probably. But these kind of security tips won't help us save the world.